Oysters in Charlotte, NC - Carolina Meat & Fish Co. The word oyster is used as a common name for a number of different families of saltwater clams, bivalve mollusks that live in marine or brackish habitats. In some species the valves are highly calcified, and many are somewhat irregular in shape. Many, but not all, oysters are in the superfamily Ostreidae. 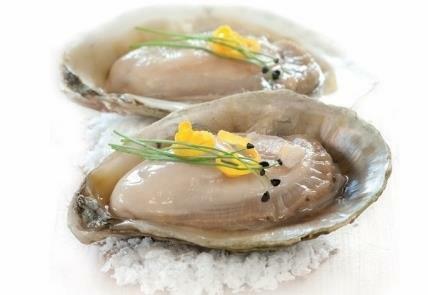 Some kinds of oysters are commonly consumed, cooked or raw, by humans as a delicacy. Some kinds of pearl oysters are harvested for the pearl produced within the mantle. Windowpane oysters are harvested for their translucent shells, which are used to make various kinds of decorative objects. This is the local lingo that labels our beloved bivalves. With the Carolina oyster season’s official opening soon, these names and others are appearing once again, scrawled anew across chalkboards of area fish houses as mollusk maniacs dream of rollicking roasts and raw bars. But when it comes to oysters, there might not be any name more widely recognized than Stump Sound. Occupying a prime spot on the backside of Topsail Island’s north end, Stump Sound has long produced oysters that area residents associate with best-in-show qualities. Carolina Meat & Fish Co’s Chief Fishmonger Jim Seidel says this isn’t just a coincidence; oysters develop a sense of place, some human palates find every bit as distinguishable as a fine wine. So when you are needing Carolina Oysters or for that matter, any oysters up and down the Gulf and East Coast of the Atlantic Ocean, look no further than the Carolina Meat & Fish Co.
Sustainably grown in New Zealand’s Marlborough Sounds, they are fully submerged in deep, nutrient rich, cold water. 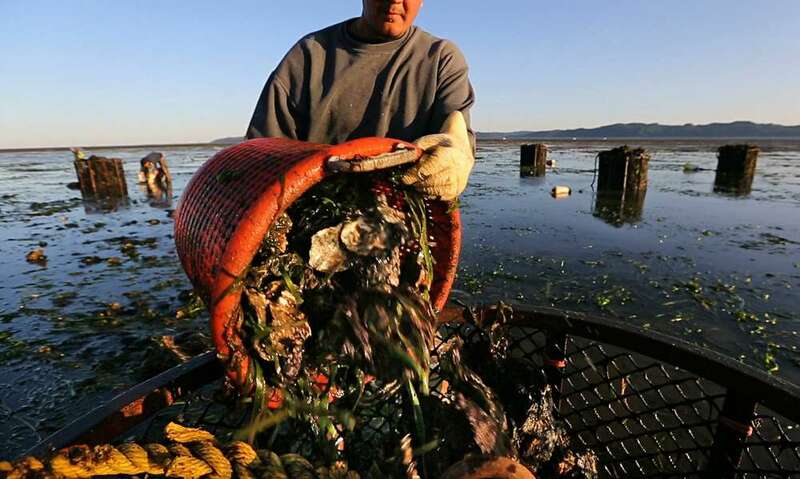 Each oyster is hand picked by experts and the oysters are individually banded to retain peak quality. Similar to the Belon flat oyster of France, the Kiwa is a medium-sized oyster with a succulent, yet firm, velvety texture. The flavor offers a balanced, clean, crisp oceanic brine with a very long, slightly steely-sweet finish. Luxurious. They are for the true oyster aficionado. $59 a dozen. THE Carolina Meat & Fish Co. ‘S SPECIALTY OYSTER PROGRAM THE ARRIVAL OF FALL AND COOLER WATER TEMPS BRINGS US A GREAT VARIETY OF EAST COAST OYSTERS FROM LOCAL WATERS UP THROUGH THE MID-ATLANTIC, THE NORTHEAST AND INTO CANADA. HERE’S WHAT WE HAVE AVAILABLE TO ORDER TODAY: Oyster Bushels are considered 100 count of oysters unless they are Gulf Oysters and then they are 30 lb boxes.